Join me this October for a four-night Soulshine Retreat on the magical island of Ibiza and find yourself relaxed, renewed and inspired in mind, body and spirit. This yoga retreat will truly provide the ultimate opportunity to pause from the relentless pace of modern day life. To rediscover and reconnect with your true nature and let your soul shine. Set within the luxurious tranquillity of my beautiful private family home, the retreat will offer two daily yoga classes, extra workshops throughout the weekend and a 30-minute massage. Deliciously healthy organic and local vegetarian food will be served daily to support your restorative retreat experience. And if the plentiful yoga, massage and allure of simple relaxation by the pool or one of the many stunning beaches that Ibiza offers isn’t quite enough for you, then there are plenty of opportunities to explore the island and all it’s treats: from hippy markets to horse-riding, the traditional ‘chiringuito’ fishermen restaurants to sunset drumming sessions with the local hippies and even perhaps island-hopping to the ridiculously beautiful neighbouring island of Formentera. The retreat will be very small, with numbers limited so I can give each and every one of you plenty of personal attention and help to develop your yoga practice on an individual level. 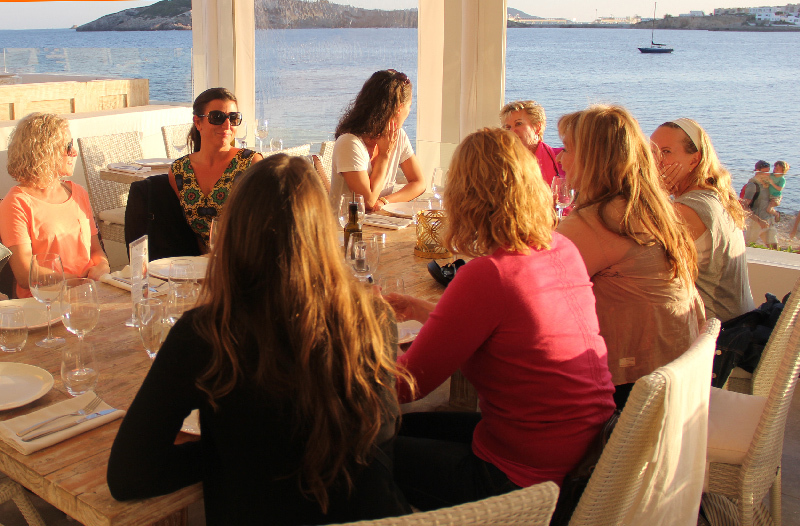 Relax, breathe, restore, move, heal, unwind, laugh, explore, stretch, workout, tone, rejuvenate, invigorate, refresh, revive, energise, live life and love life on this Ibiza Soulshine Retreat with Soulla. Week Long Retreat packages - click to find out more. Thank you! I'll be in touch as soon as possible. If you would like to get in contact with a specific message please click here or send an email to info@withsoulla.com . Bring a friend and you’ll BOTH receive a free upgrade to a 60-minute massage. Recommend a friend and receive a 5% discount on any future events with Soulla. Your host Soulla has over 700-hours of Yoga alliance. She will offer both dynamic, flowing yoga and healing and restorative Yin based yoga. Soulla’s goal is to inspire people to embrace their full potential and find the happiness and freedom that exists within us all and with this goal in sight, she created Soulshine Retreats – offering the perfect opportunity to explore, develop and deepen your yoga and meditation practice, all within exceptional and inspiring environments around the world. Nestled into the hillside on the luxury Ibizan development of Roca Llisa and with endless panoramic views over the Mediterranean, Casa Elia is our beautiful and very loved luxury private family home. 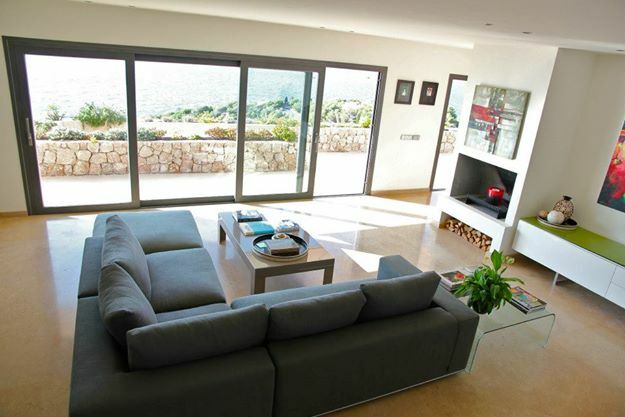 Built in the traditional cubist style of the White Isle of Ibiza, it is a modern home with floor to ceiling windows throughout the villa and plenty of outdoor space to maximise on the incredible views in every moment. There are four incredibly spacious ensuite bedrooms offering shared accommodation all with breathtaking views out to the sea. Kickstart your day with a healthy breakfast feast and enjoy wholesome, organic and healthy vegetarian lunches and dinners at our exclusive villa. If this sounds like you’re cup of tea then simply enter your email address below to download full information on the retreat or EMAIL ME with any questions and to book your place now. Get in touch soon if you'd like to benefit from the Early Bird discounted prices. 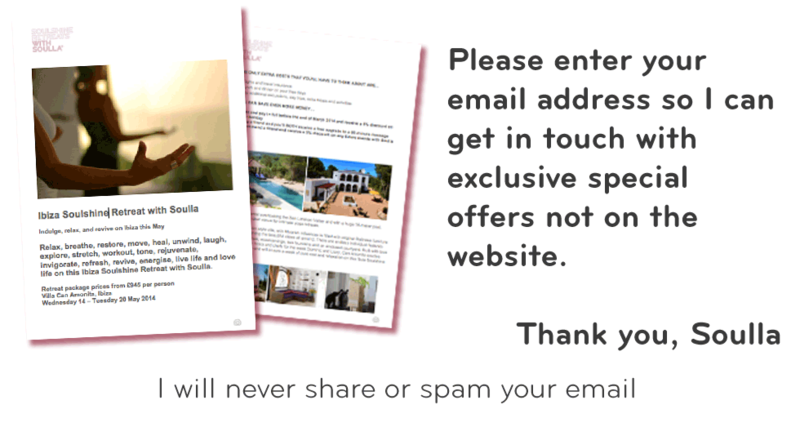 If you would like to get in touch personally, please drop me an email to info@withsoulla.com. 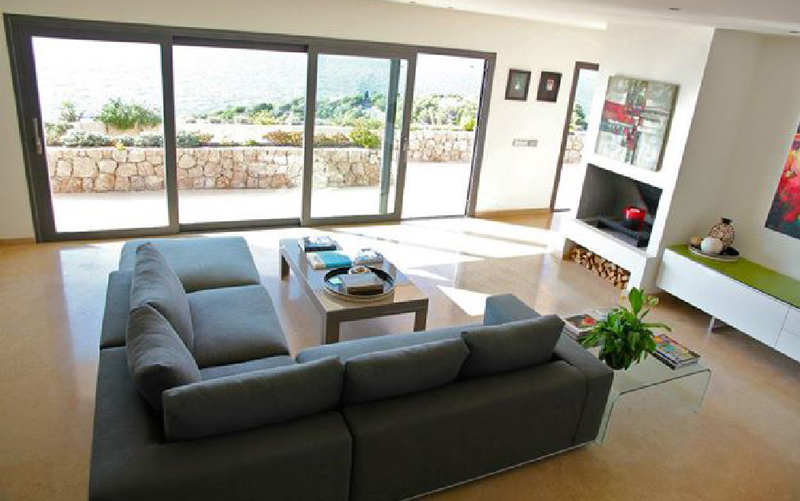 This typically Ibicencan style villa, exudes elegance and serenity and will ensure a week of pure rest and relaxation on this Ibiza Soulshine Retreat. It is a home rather than a hotel, so a place where you can really get comfortable and relax in informal and friendly surroundings. There are four incredibly spacious bedrooms offering shared accommodation. Two of the rooms have two double beds in them and the third and fourth room has one double bed. 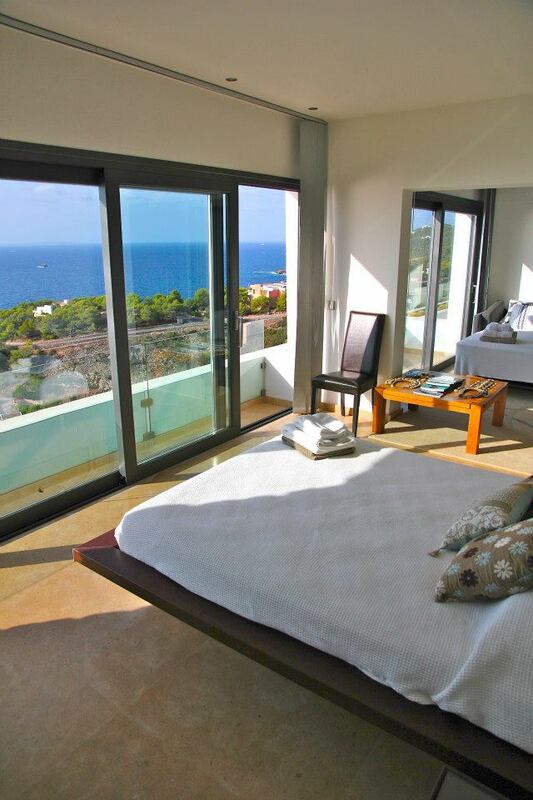 All rooms are spacious ensuites and all have breathtaking views out to sea. As with all Soulshine Retreats, Casa Elia provides the perfect space to unwind and relax away from the hubbub of the world, allowing you to take the time to truly engage with your surroundings and nature. My aim is to provide you with the time and space to totally relax so that you can let go of any worries and stresses and have both a relaxing, restorative and fabulously fun break, whilst being totally spoilt by our dedicated team. Since discovering yoga on a South American adventure, Soulla Demetriou has been fascinated by the powerful physiological, psychological and spiritual effects a regular practice can offer. Soulla has over 700-hours of Yoga Alliance teacher training experience, offering both dynamic and flowing Yang and healing and restorative Yin based yoga.